Cook chicken in the skillet until the outside is browned and the chicken is fully cooked. Then dice the chicken breasts into bite size pieces. In a bowl, mix together tomatoes, olive oil, balsamic vinegar and basil. 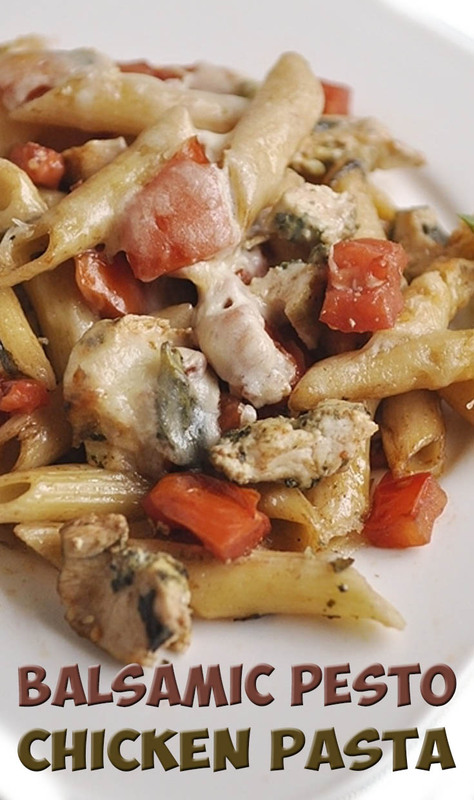 Combine the tomato mixture, diced chicken, salt and pepper and cooked pasta and pour into a 9x13 pan. Cover with shredded Mozarella. Bake at 300 until cheese is melted and bubbly and mixture is heated through. Approx. 20 minutes.